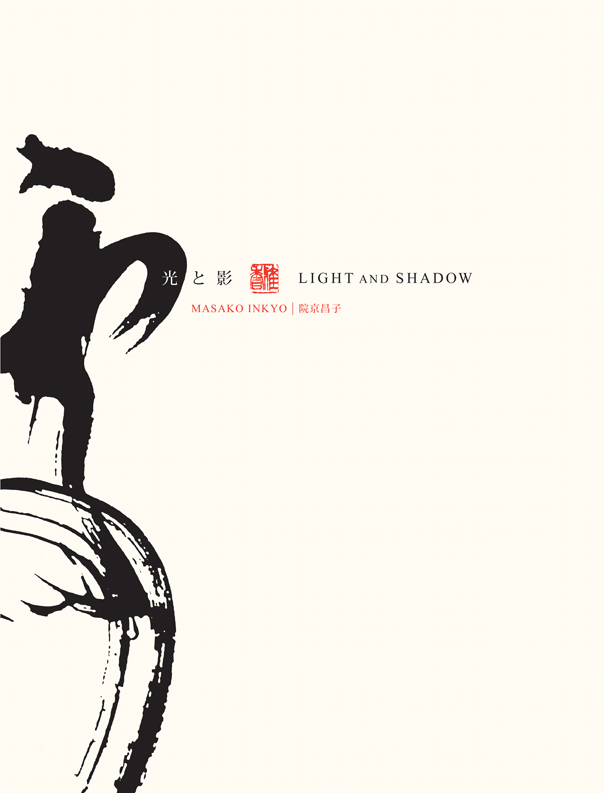 — Presents art in contemporary and traditional styles, juxtaposing exquisite passages from classic literature and Buddhist texts with boldly brushed semi-abstract compositions. Photography: Christopher Terry, Christopher Newhard and Andrew Lee, Design: Dan Ichimoto. Uninterrupted 2009, Black and gold ink on paper 70 x 56 in. 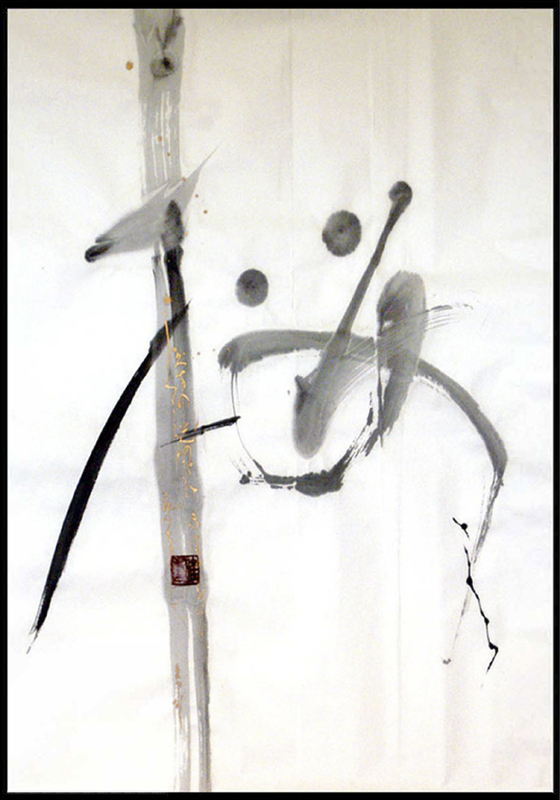 Nature 2001, Ink on kana paper 28 x 54 in. 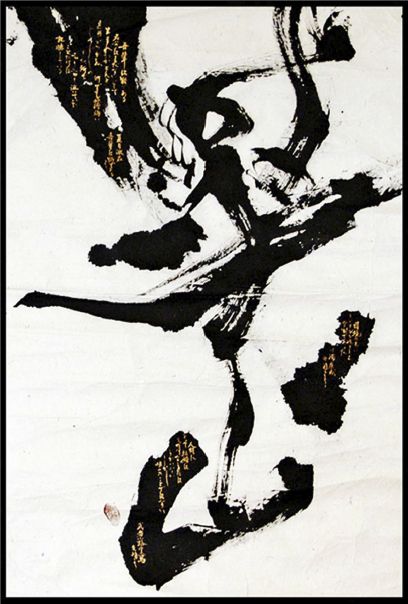 Sakura 2004, Black and gold ink on paper 70 x 55 in.